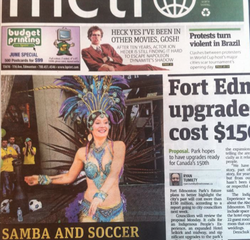 Welcome to Samba Edmonton, the Heart of Brazil in Alberta! 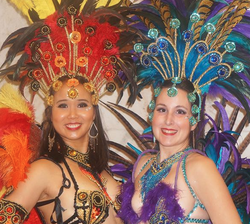 We bring Brazil's rich cultural heritage to Alberta through classes, performances, and workshops. 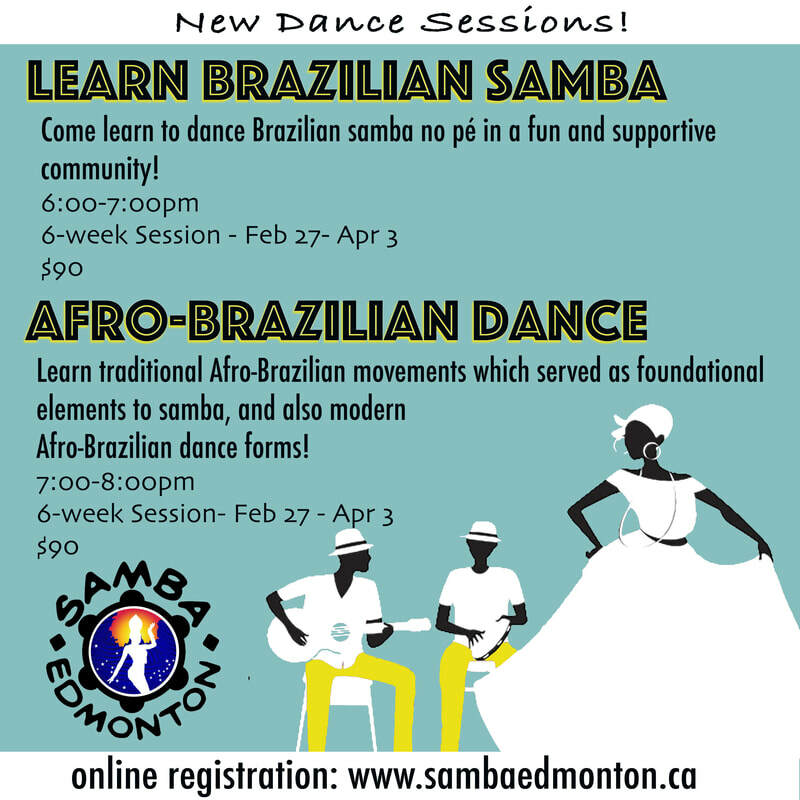 Our second set of 2019 dance sessions run from February 27th to April 3rd! 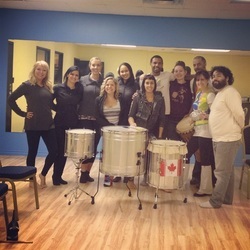 ​Visit our Classes and Workshops page for details and online registration. 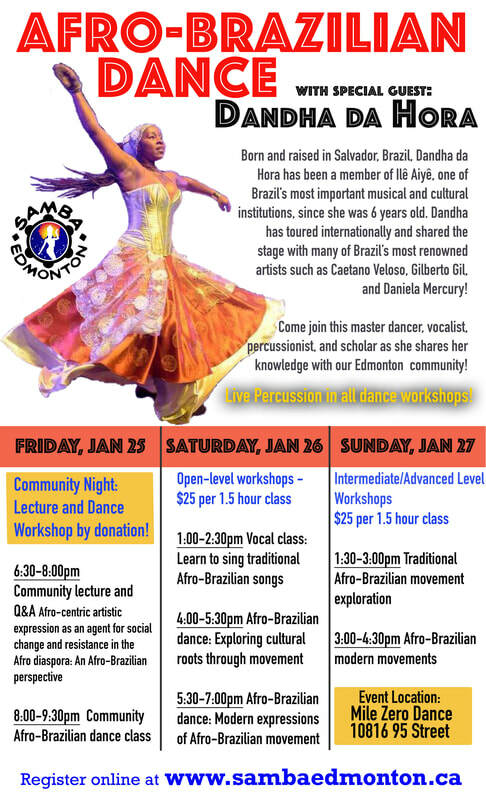 Join Dandha da Hora, master dance teacher, vocalist, and performer, in her very first workshop intensive series in Canada! Details and registration here! Registration not required, come join us on September 12th! If you enjoy your free class, upcoming session information and registration is available at our Classes and Workshops tab! 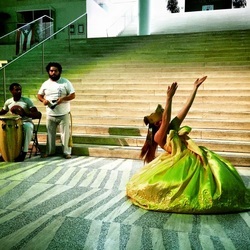 Our upcoming dance sessions commence on September 26th! Details and registration info here.